Getting older means you’re wiser, but you also may be feeling the years in your joints, neck, and back. This means that sleeping on a great mattress becomes even more important for your health as you enter your golden years. 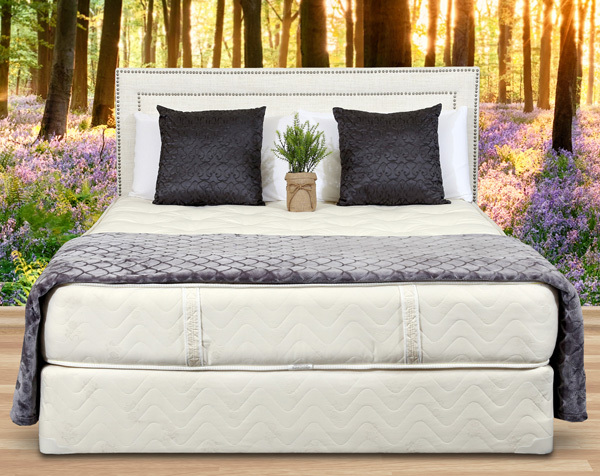 On top of having a comfortable, supportive, and durable mattress, you should also consider buying an organic mattress. Organic mattresses are free of harmful chemicals and byproducts that can negatively affect your health. As you age, you should pay extra attention to what foods and products you expose your body to. Not only does your immune system weaken as you age, but your skin begins to lose collagen and elastin, making it drier and possibly more sensitive to synthetic materials. Therefore, you should make health-conscious choices as often as you can in everything you do: from your level of activity to the material of the mattress you sleep on. If you’re currently sleeping on a synthetic mattress, you may be exposing yourself to a variety of elements that can negatively affect your health. Going organic will give you health benefits by cradling you in only natural materials. As you can see, eliminating as many VOCs from the home as you can only benefit your health. You spend on average 8 hours a night asleep, in close contact with your mattress. Make sure that you’re breathing in clean air to keep your lungs and skin healthy. By doing so, you can possibly avoid sicknesses like sinus infections that can come from allergic reactions to harmful chemicals. Organic materials like wool and cotton are all collected and processed without the use of harmful chemicals. Per federal guidelines, the manufacturing process can only use chemical-free procedures. In addition, these materials leave a smaller carbon footprint, which means that they are biodegradable and won’t leave behind dubious substances after their inevitable disposal. Synthetic materials, on the other hand, don’t decompose well and stay in landfills for many years. As we become smarter consumers, buying a product that’s not only better for your health but also good for the planet has great value. Gardner Mattresses are 100% organic and have a generous risk-free trial period. If you have any questions or would like to order your own organic mattress today, call us today at 1-800-564-2736.